David Pearson won three championships and 105 races on NASCAR's premier division, many of them with cigarettes and chewing gum taped to the dashboard of his car. One of the greatest stock-car drivers of all time, the sometimes gruff and always no-nonsense South Carolinian cemented his legend two years ago when he was enshrined in the sport's Hall of Fame. But even legends need heroes. And Pearson's was Cotton Owens. "I've known Cotton for a long time," said the Silver Fox, who would go on to win the 1966 Cup Series championship in a Dodge fielded by Owens. "In fact, I always pulled for him before I ever started racing. He's always been my hero. I'd go by his shop. I always liked him because he's in my hometown right here. He doesn't live far from me and, in fact, I go see him quite often now." These days Owens is in failing health, a condition exacerbated by the recent passing of his wife, Dot, who died last month. He was unable to make the trip to downtown Charlotte on Wednesday for the announcement of the five people who would comprise the 2013 class of the NASCAR Hall of Fame. But he was watching from back home in Spartanburg, S.C., surrounded by his children, and surely delighted when a black and white visage of Owens in his prime, complete with white cowboy hat, appeared on a screen behind NASCAR chairman Brian France. Yes, Cotton Owens -- driver, owner, mechanical mastermind -- is soon to receive NASCAR's greatest honor, for a career that includes two championships as a driver in NASCAR's modified division, and another as an owner in what is now the Sprint Cup circuit. Inside the car, he won more than 100 modified trophies and lost a close battle with Lee Petty for the 1959 Cup title. Outside the car, he fielded vehicles that were usually some of the best around, complete with a stable of drivers that may remain unsurpassed to this day. Pearson, Junior Johnson, Mario Andretti, Ralph Earnhardt, Fireball Roberts, new Hall of Fame member Buck Baker -- they all drove for Owens, whose shop was once the center of a city once the center of the sport. Owens was among the top four vote-getters who didn't get in last year, and made it easily this time with 50 percent of the vote among the 54-person panel. Even so, with so many other nominees presenting such glittering resumes -- two-time champion drivers like Roberts and Tim Flock, multiple-time champion car owners Rick Hendrick and Richard Childress, pioneers like T. Wayne Robertson and Ray Fox -- his election was somewhat unexpected. 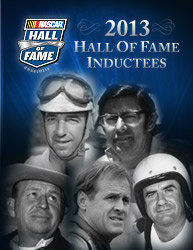 Even so, there he was in that cowboy hat, alongside fellow 2013 inductees Herb Thomas, Len Wood, Baker and Rusty Wallace. "I think of everybody up there, he's probably the biggest surprise that we have," said Humpy Wheeler, the former Charlotte track president who is also a Hall of Fame voter. "But then again, the people who remember back in those days understand that the modified division, which is really where he was most successful, was really the premier division in NASCAR from the time it really started until about the mid-'50s. More people would go to a big modified race than they would what they called Grand National. And it was so much competition in the modifieds, and the modified guys tended to come from all over the East Coast. They had a strong circuit up in the northeast, and a strong one in the south. And he really won a lot of races, and big races." Among electors, it was the most difficult vote in the short history of the hall, which will see its fourth class go in on Feb. 8 of next year. With seemingly no automatic choices and no clear snubs from the last election, the field was wide open. "I think as I was in the room, it's pretty clear this was the toughest class to date in making the choices," said France, also a voter. Even so, there was clear sentiment in the room for Owens, who turned 88 on Monday. It's difficult to forget the plight of Raymond Parks, the pioneering car owner who won the first championship in what is now NASCAR's premier division. Parks had some early support among electors during his first year of eligibility, but has yet to get in. 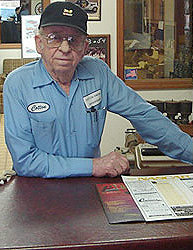 He passed away in June of 2010. That's a scenario some voters hope to avoid. But NASCAR president Mike Helton, who is also a Hall of Fame voter, said Owens' failing health wasn't a factor in his selection. "I think Cotton's record of contribution is what played the role," he said. And that record runs the gamut, from his victories as a driver and an owner, to his keen eye for driving talent, to his ability to build some of the best cars of his day. "Cotton did all the work," Pearson said before Wednesday's announcement. "He'd build motors, he'd build cars. ... He did real well in everything he did. ... He did a lot of stuff himself getting the car ready, things a lot of people hadn't done. Anybody that deserves going into the Hall of Fame, he definitely needs to. I thought he might have gone in last year. I'd like to see him go in. I'd like to see him go in the Hall of Fame before anything happens to him. He needs to get in there right now." Soon, he will be. Owens couldn't make it to Charlotte on Wednesday, but his four grandchildren did, representing their "Pop." They know a man who would take them to the race track, who fielded a race car for country music singer turned driver Marty Robbins, who was as happy with his grandkids at the local dirt track as he was on the pit wall at Daytona. "I think he has a great rapport with all the competitors from all the years. He was always an honest, hard-working individual, and everybody always saw him as that," said Owens' grandson, Brandon Davis. Owens' election "says people remember the roots of racing," added grandson Ryan Owens. "It all starts from grass roots, and no matter how big it gets, you've got to stay true to your heritage, and [know] how important that is to maintain the interest. It's a national sport, and they're national heroes. But they came from small towns, and they're self-made men. That's the thing you can't overlook." That certainly wasn't overlooked Wednesday, when Owens joined contemporaries like Baker and Thomas in a class that harkens back to NASCAR's past. 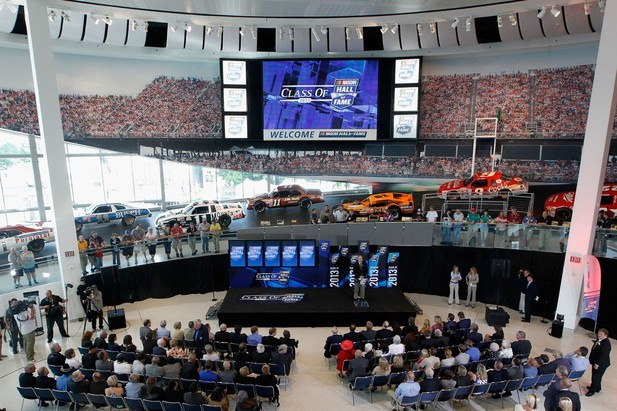 It also reinforced the legacy of little Spartanburg, which has now placed a resident -- Pearson, former owner Bud Moore, and now Owens -- in each of the past three classes of the NASCAR Hall of Fame. For years, there was talk of building a museum in Spartanburg to celebrate the city's contributions to stock-car racing. It never materialized, but now there's no need; the modern building in Charlotte seems to be doing the job just fine. "That's quite a story right there," Wheeler said. "And you wonder -- you know, Talladega at one time was going to be built near Spartanburg and Greenville. But because of the blue laws, and they couldn't change them, it went to Alabama. What that track would have done had it been built -- it might be the biggest track we've got, because there's so much enthusiasm for racing down there." For decades, Spartanburg was as much a center of the NASCAR industry as Charlotte is today. That all changed, of course, as teams began to migrate north following the opening of Charlotte Motor Speedway and the Holman-Moody speed shop. The city's old racing landmarks, like its once-famous race track and team shops, faded along with its reputation. But its grand triumvirate of Pearson, Moore and Owens, now Hall of Famers all, are doing their part to revive it. "Spartanburg was the hub back then," said Owens' granddaughter, Cari Spanton, "and now for generations to come, people will remember that."